The Jiuzhaigou Valley Scenic and Historic Interest Area is a reserve of exceptional natural beauty with spectacular jagged alpine mountains soaring above coniferous forest around a fairyland landscape of crystal clear, strange-coloured blue, green and purplish pools, lakes, waterfalls, limestone terraces, caves and other beautiful features. These include a number of karst formations; indeed the area is a "natural museum" for alpine karst hydrology and research. Covering 72,000 ha in the northern part of Sichuan Province, Jiuzhaigou preserves a series of important forest ecosystems including old-growth forests which provide important habitat for numerous threatened species of plants and animals, including the giant panda and takin. Attaining heights of 4,752 m in the southern Minshan Mountains, Jiuzhaigou also contains an important number of well-preserved quaternary glacial remnants with great scenic value. Criterion (vii): Jiuzhaigou is renowned for its scenic and aesthetic majesty. Its fairyland landscape of numerous lakes, waterfalls, and limestone terraces, with their attractive, clear, mineral-rich waters, set in the spectacular alpine mountains with a highly diverse forest ecosystem, demonstrates remarkable natural beauty. Jiuzhaigou contains all the elements necessary to demonstrate and protect its natural beauty, and is surrounded by buffer zones. Although the site was partially degraded by previous forestry activities, it is recovering through tree planting and strict management which includes protecting water quality, air quality, and forests. At time of inscription some 800 residents in six villages lived inside the site, with the policy being to seek voluntary agreement to gradually reduce the human population within the reserve. As a national park and a national nature reserve, Jiuzhaigou is protected by national and provincial laws and regulations, which secure the long-term management and conservation of the Property. 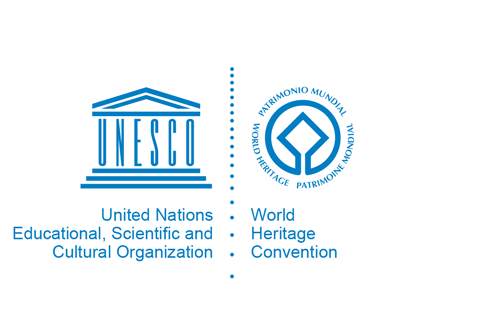 In 2004, the Sichuan Provincial Regulation on World Heritage Protection in Sichuan and the Regulation on Implementing Sichuan Provincial Regulation on World Heritage Protection in Aba Autonomous Prefecture became law, which provided a stricter basis for protection of the property. The Administration Bureau of the Jiuzhaigou World Heritage Site, established in 2006, ensures the site complies with Aba Prefecture’s Guidelines of Implementing Sichuan Provincial Regulations on World Heritage Protection. This Administration Bureau contains 21 departments, including a natural protection department, a multi-disciplinary science department, a planning and construction department, and a resident management office. A General Plan for Jiuzhaigou National Park is in place and approved by the national government, which provides a framework for the protection and management of the park, including a detailed monitoring plan for park resources. Water resources, biodiversity, forest pests and diseases, and weather and climate are all monitored under this plan. In addition, the plan provides for protection of biodiversity, traditional culture, and the environment under increased tourism development. As part of the monitoring and protection of Jiuzhaigou, the Science Department is intimately involved in collaborative research with both domestic and international universities and researchers. Important areas of research and monitoring include the evolution of Jiuzhaigou’s tufa deposits; air and water quality; archaeology; meadow reforestation and biodiversity; and human-landscape interactions. The results of these research projects form the basis for new management policies. The continuing growth in tourism is a challenge and of concern, and many remedial actions to control the effects of human activities have been undertaken based on the research and monitoring projects.